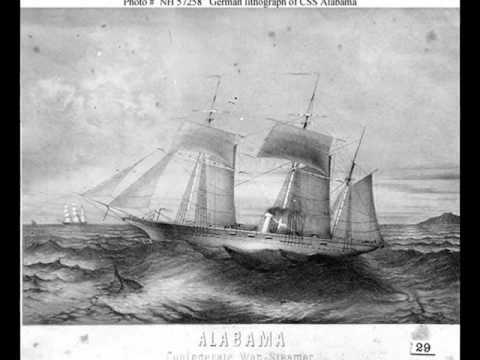 Alabama and Kearsarge were warships of the Confederate States Navy and United States Navy, respectively, which fought off the port of Cherbourg, France on June 19, 1864 during the American Civil War. 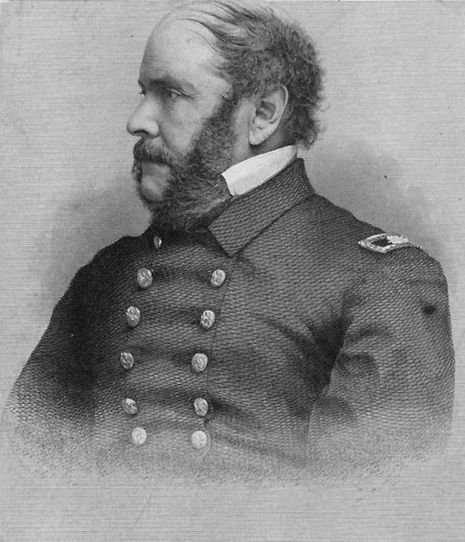 The Kearsarge was victorious, sinking the Alabama, bringing to an end its destruction of Union ships. It was very violent. 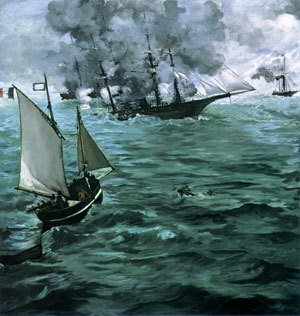 A potentially critical hit by Alabama on Kearsarge proved futile because the shell failed to explode. Other shots bounced off chains hung on the Union ship's side. 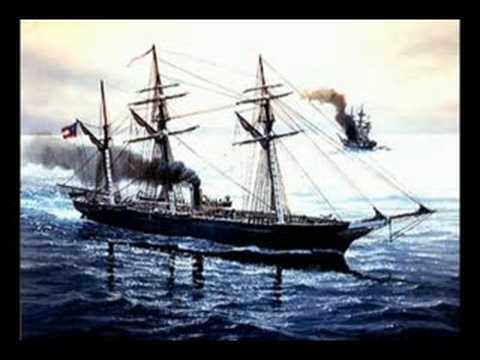 Alabama was hit hard, and Capt Raphael Semmes had to abandon ship. 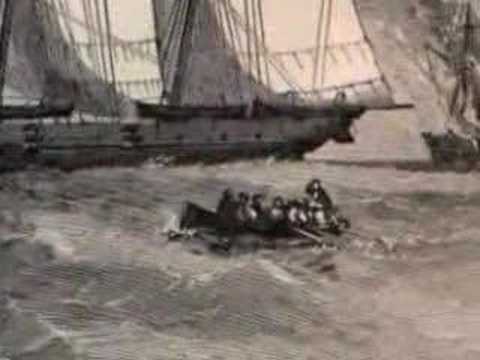 Some Confederate survivors were rescued by the British yacht Deerhound. 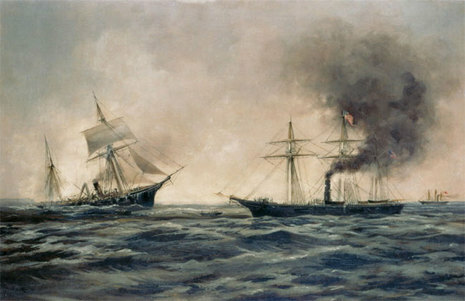 After nearly two years of highly successful cruising at the expense of the United States' commercial shipping, CSS Alabama returned to European waters in early June 1864. Badly in need of a refit, she put into Cherbourg, France, on 11 June. News of her presence soon reached the USS Kearsarge , which promptly steamed to Cherbourg, arriving on the 14th. 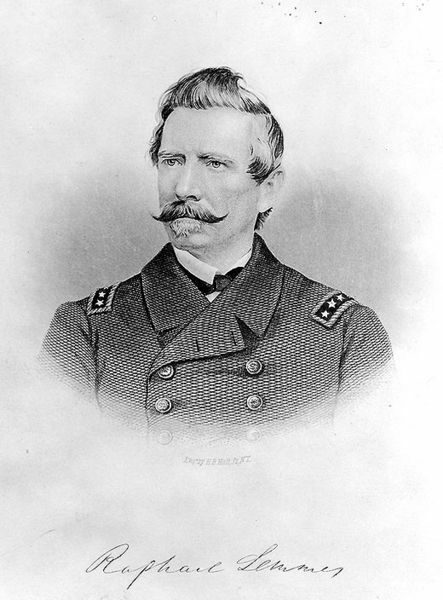 Seeing that he was blockaded, with repairs delayed and with the probabability that his ship would not be able to resume her raiding activities, Alabama's Captain Raphael Semmes challenged Kearsarge's Captain John Winslow to a ship-to-ship duel. That suited Winslow very well, and he took station offshore and waited.